Riding Around the Block in Jackson Hole means going on a 100+ ride through rolling hills and mountain passes. 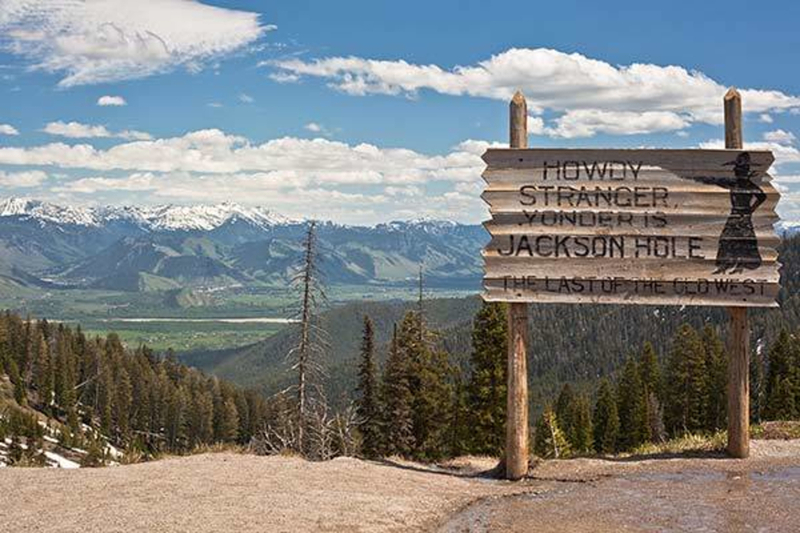 It's the best century road ride around (literally) Jackson Hole. Being the kind of extreme outdoor town that it is, when people in Jackson talk about riding “around the block,” they’re not talking about a short lap through the neighborhood. A ride around Jackson’s block is a 100+ mile endeavor and includes ascending two mountain passes and more rolling hills than I’ve ever cared to count. But it’s beautiful. And you can stop for square ice cream, among other food and drink items, along the way. Head west on Highway 22 from Jackson. In Wilson, jump on the bike path heading up Teton Pass. Less than a mile up, the bike path ends at Old Pass Road. Jump onto Old Pass Road. About 1 mile up, this road is no longer accessible by car—only foot and bicycle traffic. Four miles later, you’ll be at the top of the Teton Pass. Fair warning: this is a brutal climb. Once you hit Crater Lake, you’re between ½ and 1/3 of the way to the top. As fast as you can get going down the west side of the pass, it’s actually the mellower descent of the two sides. The east side (down into Jackson), I once hit 67 mph. If the thought of descending Teton Pass intimidates you, you’ll definitely want to do this ride counter-clockwise and descend into Idaho. Just past Victor Valley Market, hang a left onto Idaho 31. After Teton Pass, the 1,200-foot Pine Creek Pass is nothing. 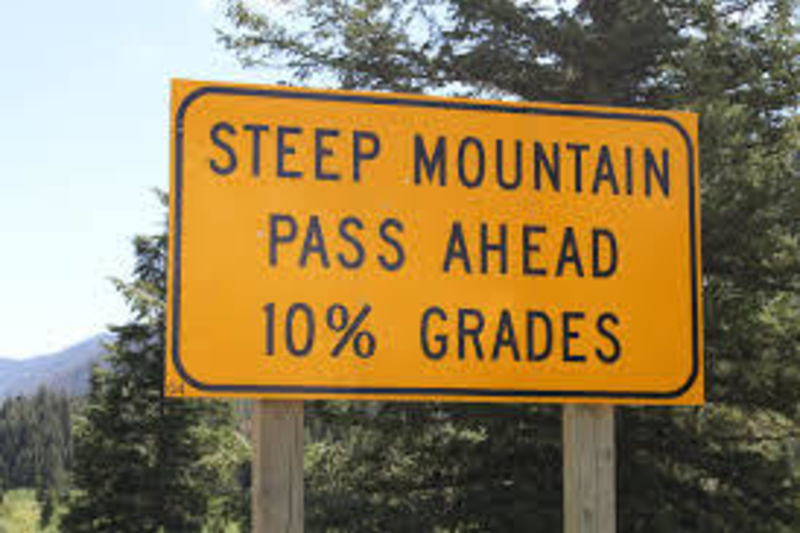 Not only is the climb significantly less, so too is the grade. It’s 2.2 miles long. 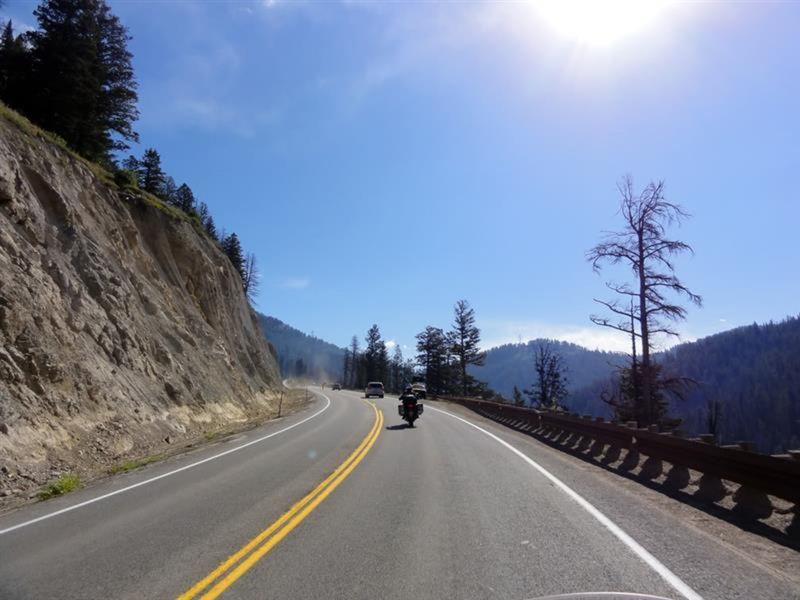 Unfortunately, there is no Old Pine Creek Pass Road, so you’re forced to ride with traffic. Be warned: there is no shoulder here. You descend Pine Creek Pass and find yourself paralleling Pine Creek on a twisty, scenic, shoulder-less road for about 12 miles. You finally ride across a high bridge spanning Pine Creek and have an open (often head wind-laden) five miles until a short-and-fast descent into Swan Valley, where the gas station at the junction has any candy bar you may have developed a hankering for, as well as square ice cream bars. 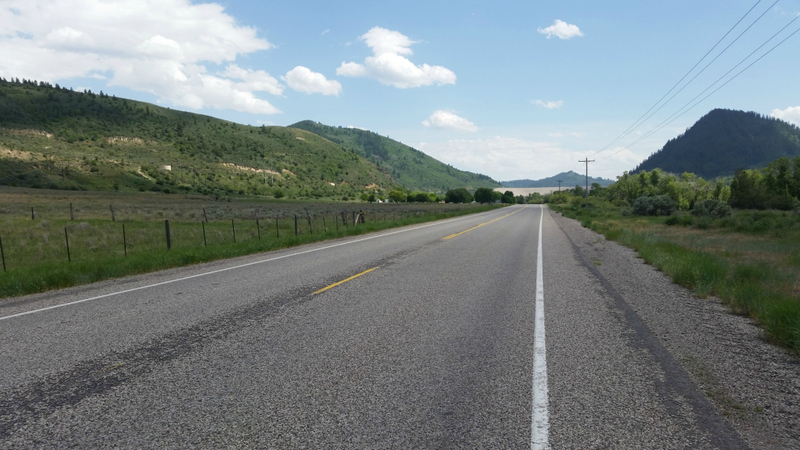 At Swan Valley, take a left on U.S. 26, enjoy the wide shoulder and keep your fingers crossed for a tail wind. The roughly 15 miles from Swan Valley past Irwin and to the base of the Palisades Dam are flat and, with a tail wind, a great spot to enjoy some easy speed before getting into the rolling hills along the shore of Palisades Reservoir. Know that the first roller – the one that takes you to the top of the dam – is the longest. The three-mile straightaway into Alpine is another fun place to get up some speed. Alpine = 73 miles down; 36 to go. 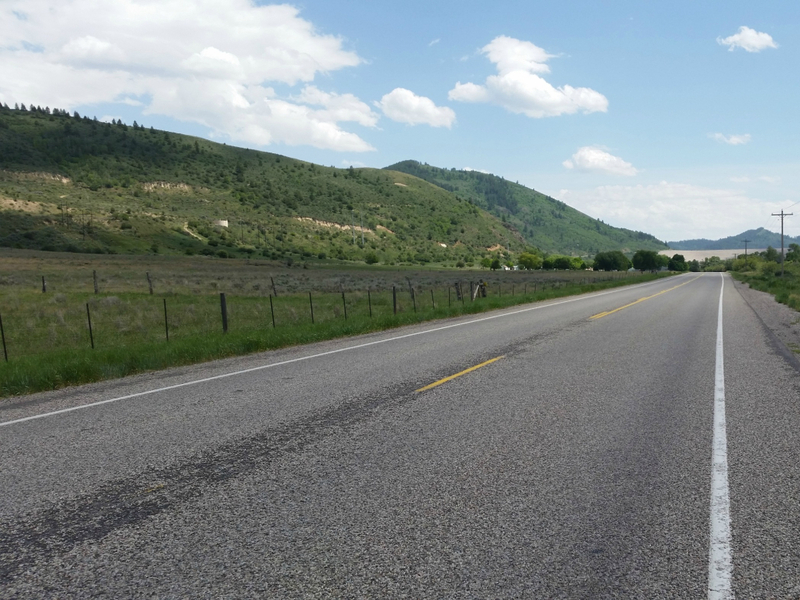 The ride up the Snake River Canyon is lovely and there’s often a tail wind to Hoback. There are no big hills, and there are big, beautiful shoulders. Hoback Junction = 96 miles; 13 to go. The mile of road immediately after Hoback Junction is, in my opinion, the scariest of the entire ride. I never knew there was such a thing as a negative shoulder until I rode that stretch. Thankfully it’s short and 98% of drivers passing you are considerate. You cross the Snake River a couple of times after Hoback. The first time is just as the road opens up to include a shoulder. The second time is about three miles later and there is a boat ramp there. Less than one mile after this crossing, look for a bike path starting on your left. It is immediately across from Game Creek Road. This bike path takes you all the way back to Jackson. Fair warning: it’s got some hills that hurt after the 100 miles you've already put in, but you've already come this far, so not finishing is out of the question. If you’re looking for a century ride in the area, this is the best. (The runner-up is from Jackson to Togwotee Mountain Lodge). Head west on Highway 22 from Jackson. In Wilson, jump on the bike path heading up Teton Pass.